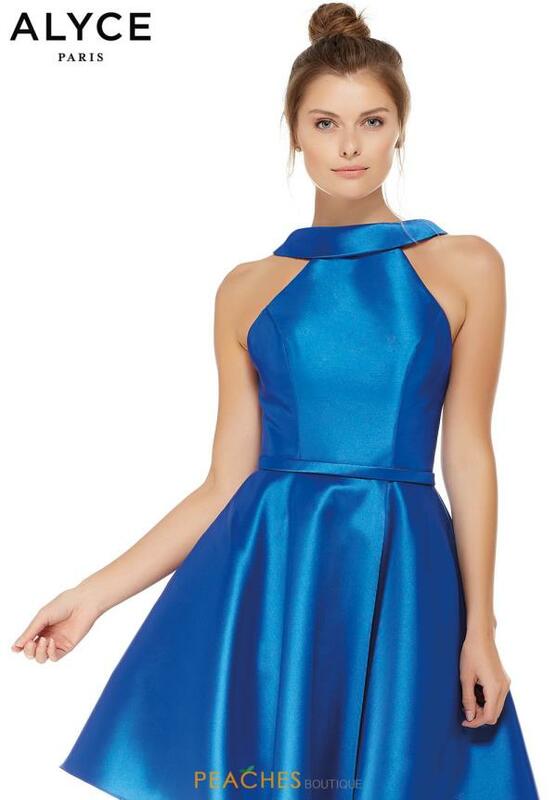 Exquisite short dress 3767 by Alyce Paris is the perfect choice for your homecoming dance in the bold blue hue of Mikado fabric. This stellar style showcases a high neckline with racer back and cut outs. The short a line skirt has a ribbon banded waist. See the entire new collection of Alyce Paris short styles at Peaches Boutique.